As a paddler I occasionally inserted a trip on Flathead Lake between the darkest days of smoke, encountered locked gates at state parks, and waited like everyone else for the air to clear and costs to mount. 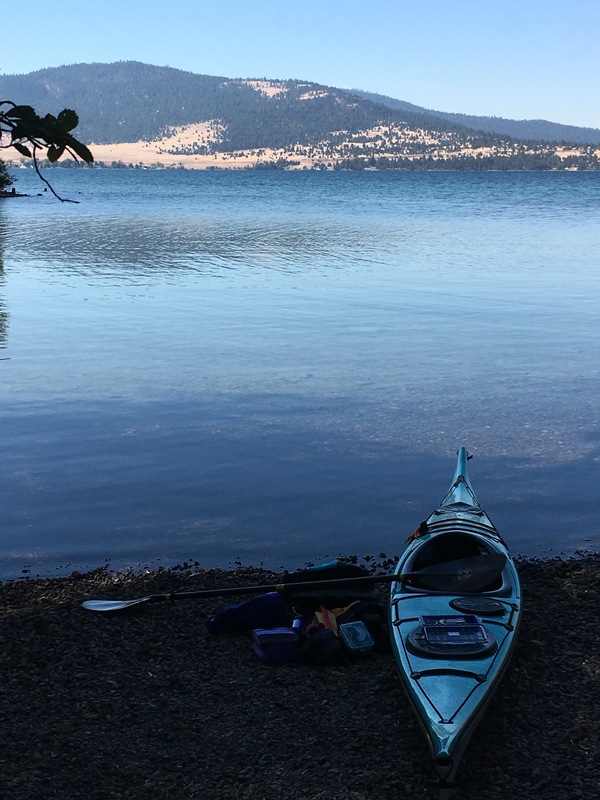 On September 29, I finally found a bright and fresh day for a solo paddle out to Wild Horse Island and a clockwise trip around its perimeter. It felt healing to exercise in pure air, to be reminded that our world is indeed beautiful after weeks of finding it fouled, polluted and threatened. Late afternoon light backlit every snowberry, spider web, needle and turning leaf in the draw above Osprey Cove. A shift in the wind gave me five fast miles at the end of the day. During this paddle I thought I might feel elevated by the knowledge that our world we love had finally been returned to us. But after this summer I felt more reflective than jubilant. All the evidence suggests that what happened this summer will happen again. In my post of May 7, 2017, I proposed that we have a responsibility to attend to and behold the things we encounter. But on this Friday in September the currents took me deeper. After this summer it seems we have an inescapable responsibility to address the forces that are making our world increasingly uninhabitable. It is no accident that our forests are burning and coastal cities are awash in water that overwhelms the land and its inhabitants. We are doing this to ourselves and we must undo what we have done. Or, to shift the metaphor, we must change course because the one we are on leads to ruin, especially for the most vulnerable among us. It is not for me to say what others should do. We must see this for ourselves. But I am clear that I have a responsibility to understand the impacts of what we are doing to the planet and take action in word and deed to promote choices that lead toward better ways of being in the world. 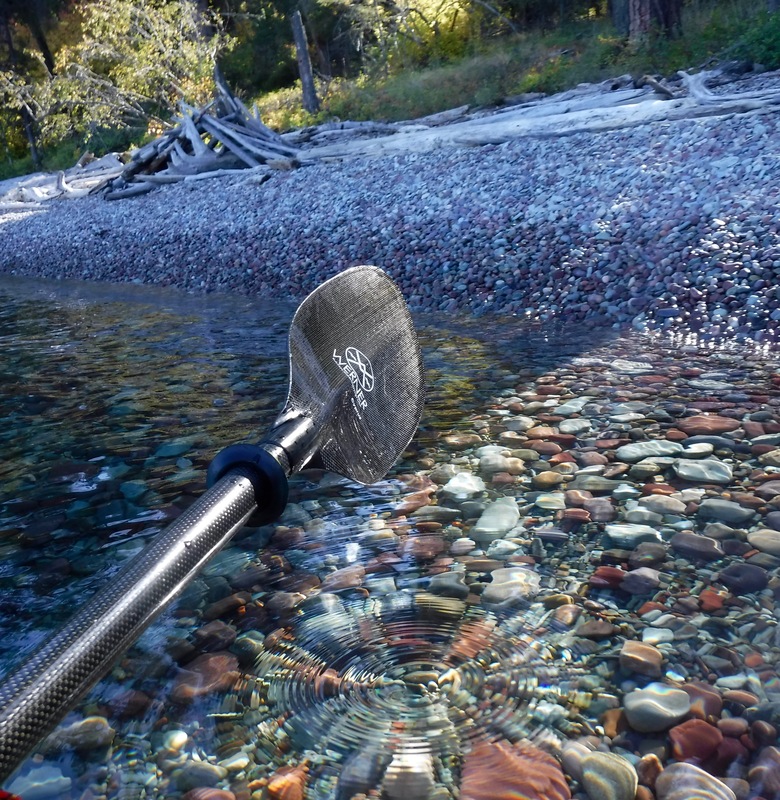 A paddle in bright light makes this clear. It is time to do more than sigh with relief or toss up our hands. We have work to do, changes to make, a course to correct, while there is time.